Many of us have vowed to lose weight in 2015. We all would like to find a quick fix, an easier path than dieting and exercising. We may be tempted to try one of those miracle weight loss supplements or foods. Before you do, please read what the FDA has to say about weight loss products. Many so-called “miracle” weight loss supplements and foods (including teas and coffees) don’t live up to their claims. Worse, they can cause serious harm, say FDA regulators. The agency has found hundreds of products that are marketed as dietary supplements but actually contain hidden active ingredients (components that make a medicine effective against a specific illness) contained in prescription drugs, unsafe ingredients that were in drugs that have been removed from the market, or compounds that have not been adequately studied in humans. 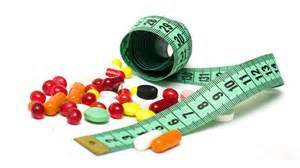 For example, FDA has found weight loss products tainted with the prescription drug ingredient sibutramine. This ingredient was in an FDA-approved drug called Meridia, which was removed from the market in October 2010 because it caused heart problems and strokes. Moreover, if you are going to embark on any type of weight control campaign, you should talk to your health care professional about it first, Welch says.